New living room furniture updates the look and feel of your home, creating a comfortable, beautiful space the whole family enjoys. Fortunately, Weekends Only Furniture & Mattress has just stocked new styles at their showrooms in the Greater St. Louis area. The store keeps prices low by spending the weekdays hunting for the best furniture for the living room, bedroom, home office, and dining room, and then open the doors with big savings all weekend long. Right now, there’s a ton of new living room furniture at Weekends Only that will fit any style and budget. The American Sante Sand Chenille Loveseat and Sofa exudes a warm feeling that’s perfect for the family room. 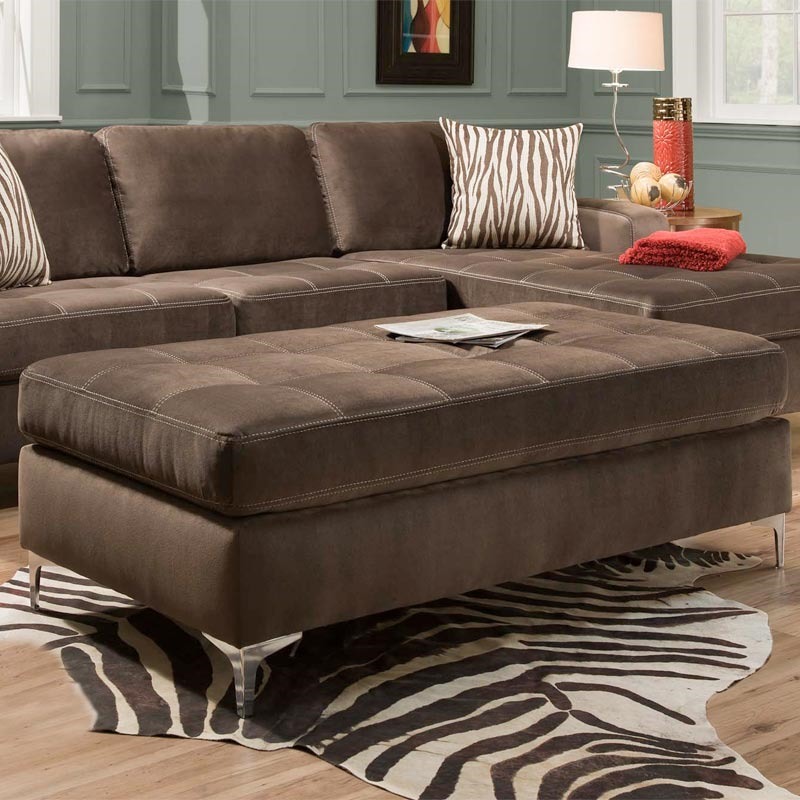 The new stock also includes a chocolate brown microfiber sectional and cocktail ottoman from American Furniture® that look chic and sophisticated. If Dad needs a plush recliner, check out the latest options at Weekends Only. Their St. Louis and Indianapolis stores have recliners in tons of colors, including charcoal gray, slate, mahogany brown, and creamy white. Stop by Weekends Only to explore the complete assortment of new living room furniture this weekend! In addition to living room furniture, Weekends Only provides pieces for every room of the home. They have affordable bedroom furniture sets, beautiful office furniture, attractive TV stands, high-quality recliners, and more. They also have home decor pieces to accent every nook of your space. Summer is the perfect time to refresh your home with new living room furniture from Weekends Only Furniture & Mattress. To learn more about what’s in stock right now, call (855) 803-5888 or visit the website today.